The human body needs to cleanse itself of the accumulated toxins that may adversely affect how the different body organs function. The detox process can help augment the body’s natural detoxification system. It can help reduce the toxins by supporting the body’s natural cleansing system with the nutrients necessary for proper function. The liver is the body’s primary detoxifying organ. It filters and removes harmful substances from the body. There may be times, however, when the liver becomes bogged down and cannot perform its functions effectively. The liver has the unique ability to regenerate itself, but it requires proper nutrition to accomplish this. When it can free itself of burdensome toxins, it can regenerate new cells to replace the old ones that have been damaged by too much work. Detox procedures provide the liver the needed break from heavy toxins so that it can do its job. There are different kinds of detox products available on the market today, custom-fit to any kind of condition, body weight, and level of accumulated toxins. One-hour detox drinks come in regular and extra strength and can rev up the toxin-removal process immediately. The one-hour detox drink will eliminate the toxins in the body and reduce the liver’s load, allowing it time to rest and recuperate. Planning ahead is an important element of one-day detox. You can start by writing down your menu and doing your shopping several days before the scheduled detox. Doing your shopping early will keep you from having to shop later when you are hungry. 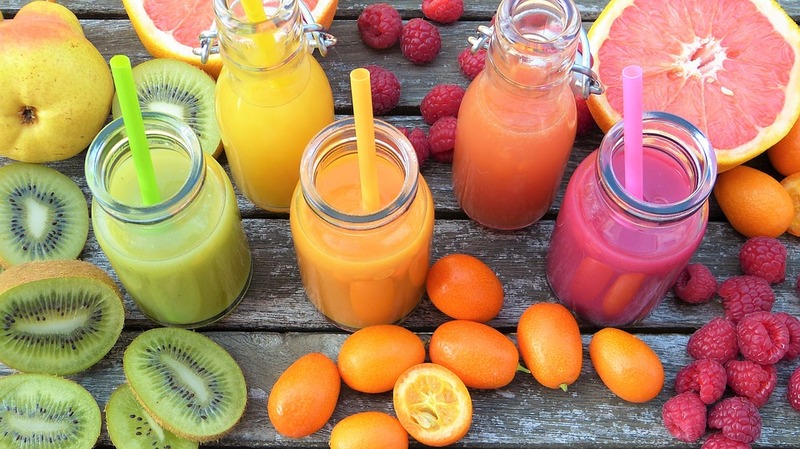 Most detox diets consist of juices from organic fruits and vegetables, raw fruits and vegetables, whole grains, nuts, and seeds. Eating your vegetables and fruits in their raw form provides more fiber than the cooked alternative. Healthy fats from nuts and seeds as well as carbohydrates from whole grains can provide great energy. It is important that you do not starve yourself during the cleansing day. Consuming between 1,200 and 1,400 calories from healthy foods will make your cleansing experience more pleasant. If your calorie intake falls below 1,000 calories, you may experience dizziness or head ache. Staying hydrated is vital, too. Drink between 32 and 64 ounces of water during the detox day. Water will help your liver and kidneys perform their work. Devoting one day to your detox will give your body’s natural cleansing systems a much-needed break. Once you are finished, don’t sabotage your efforts by returning to junk foods. Enjoy the increased energy and wellness you get from your detox, and perpetuate it with healthy habits.